I have installed many WP themes and can install other themes right now, but this 1 will not install. 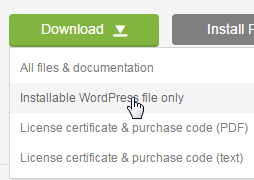 The child theme zip can be installed on Wordpress, but it says the adult theme is expired. This is alternative method. If you already installed theme via admin panel please skip this.